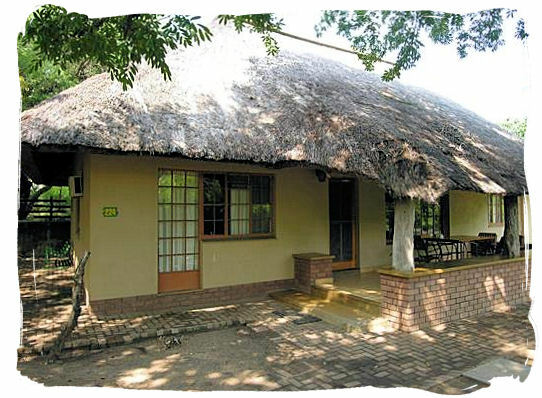 Skukuza rest camp is the "Capital" or main rest camp of the Kruger National Park, situated in a beautiful spot on the southern banks of the Sabie river in the south west of the Park. 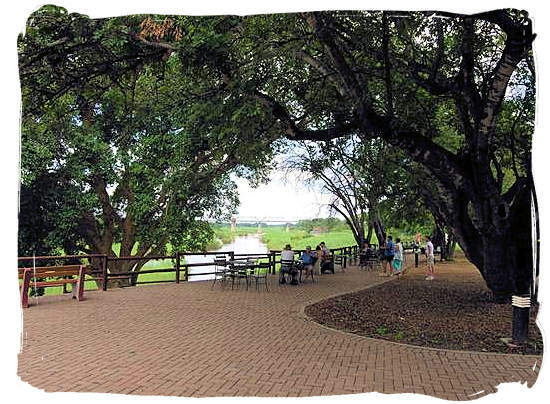 Attractively landscaped and offering beautiful views across the Sabie river from the restaurant area at the northern perimeter of the camp, it is the largest camp in the Kruger national park and serves as its operational and administrative headquarters. A good choice for the first time visitor to the Park, to get acquainted with the Park's history and the scope of activities and attractions that it offers. In addition it offers some of the best safari drives in the Park, when it comes to extraordinary animal sightings and beautiful scenery. 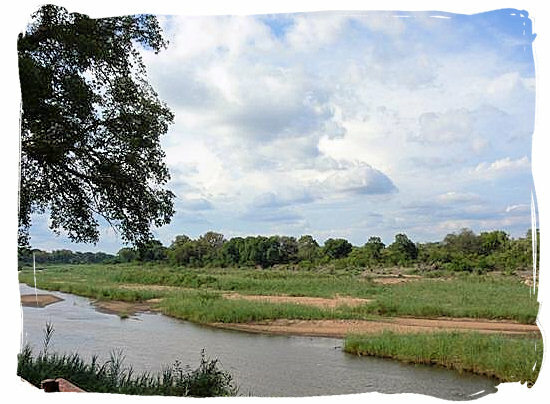 The presence of the perennial Sabie river flowing past the camp just outside its perimeter, instils an atmosphere of relaxed tranquillity in the camp. 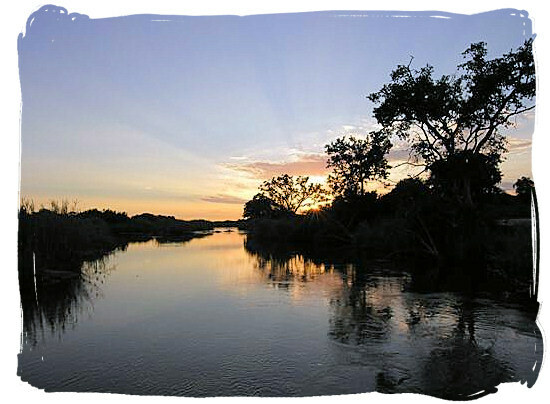 Because of the river the vegetation in and around the camp is riverine, often with dense forest and thicket. Further away from the river, the ecozone consists mainly of thorny thickets and fairly dense stands of Knob Thorn, Sickle Bush and a wide variety ofother species. 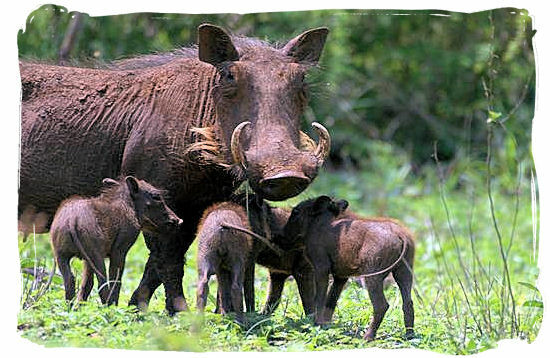 Learn more about the "Capital" of the Kruger National Park. In the Tsonga language Skukuza means “He who sweeps clean”, the name the Tsonga people gave to James Stevenson-Hamilton, the first warden of the Kruger National Park. Hamilton established the first rest camp in the Park, which was fittingly named Skukuza. He is regarded as one of the founding fathers of the Park,together with Transvaal president Paul Kruger (after whom the park was named) and Piet Grobler ministerof lands at the time. this rest camp is one of the camps that are situated in the midst of Big 5 territory and chances to encounter the Big 5 in the vicinity of the camp are excellent. Wild Dogs and Leopards are also frequently spotted. Other animals to be seen in the area are, Giraffe, Kudu, Impala, Duiker, Elephant, Black and White Rhino, Buffalo, Hippo and Hyena. In the camp itself there are populations of Warthog and Vervet monkeys. 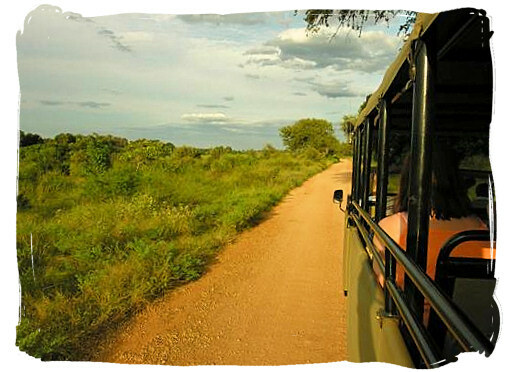 A very popular and most rewarding game drive is the route to Lower Sabie, following the southern bank of the Sabie river. Your chances of seeing Elephants, Leopards and Lion along this route are absolutely excellent and of course you will see Hippos lazing in the river and Crocodiles sunning themselves on the sandbanks. The dense trees and bush along the river are home to Bushbuck, Bush pig, Brown Hyena and the rare Tree Dassie. 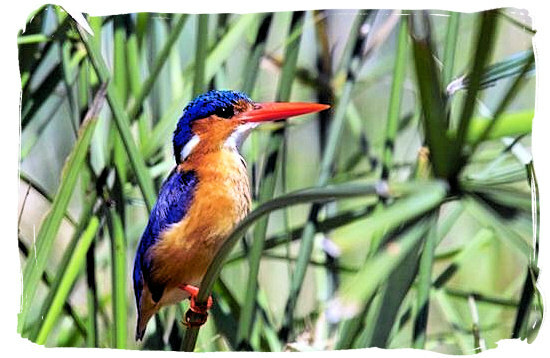 Although a large and busy camp, Skukuza is home to a large variety of bird life. From the lookout terrace in front of the restaurant you may see the Finfoot and the Half-coloured Kingfisher, next to the bustle of a nesting colony of Lesser Masked and Village (Spotted-back) Weavers. 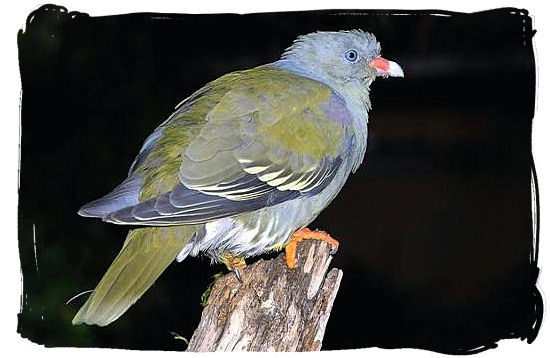 Green Pigeons are abundant in the Riverine fig trees. Watching the sky above the river at dusk may reveal the Bat-Hawk or the Eurasian Hobby. When taking a walk along the river's bank there is a strong chance of encountering the Red-faced Cisticola and the Spectacled Weaver and, in early the morning, the Little Sparrow Hawk. The river walk and a stroll around the rest of the camp could yield Collared Sunbird, Red-backed and Bronze Mannikin, Purple-crested Turaco (Lourie) and also Bush Shrikes (Orange-breasted, Grey-headed and Gorgeous) may well be heard or even seen. Go to SANParks.org to view a map of the Kruger National park showing the location of its Capital rest camp, click on the map to enlarge. Go to SANParks.org to view a map showing the lay out of the camp itself, click on the map to enlarge. Facilities in the "Capital" rest camp of the Kruger National Park are quite extensive, including facilities such as an outdoor amphitheatre, a magnificent 9 hole (18-tee) Par 72 golf course, an internet café, a library and two excellent A-la-Carte restaurants, to name but a few. Most of the facilities including movement around the camp and along the camp’s perimeter overlooking the river, are easily negotiated and accessed in a wheelchair. 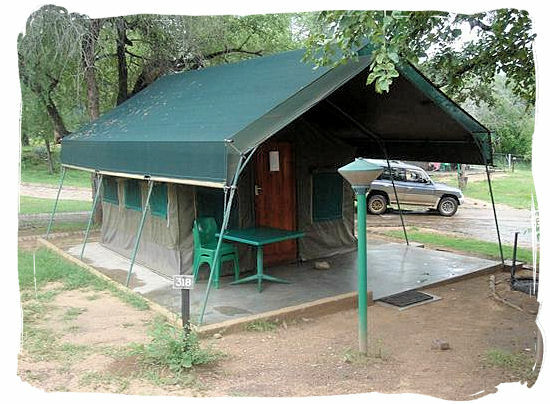 The camp is the largest in the Kruger National Park, able to accommodate close to 600 visitors. 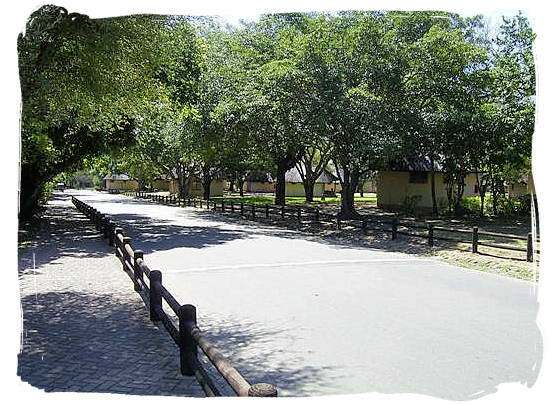 Despite the fact that the camp is large and busy, it is well landscaped and laid out with a tranquil atmosphere. Accommodation varies from budget type safari tents to luxurious guest houses, catering for a variety of visitors needs and requirements. Most of the units are built in the traditional African round “Rondavel” style and are very comfortable. All lodging is serviced daily and supplied with bedding, towels and soap. 80 x tent or caravan sites, with power point. Communal ablutions and cooking facilities. (24-hour boiling water, electric hotplates and washing up facilities) Maximum of 6 persons per site. 12 x 2-bed and 8 x 4-bed permanent furnished canvas safari tents on stilts, including a fridge, standing fan inside tent and small veranda. Communal ablutions and communal kitchens available. 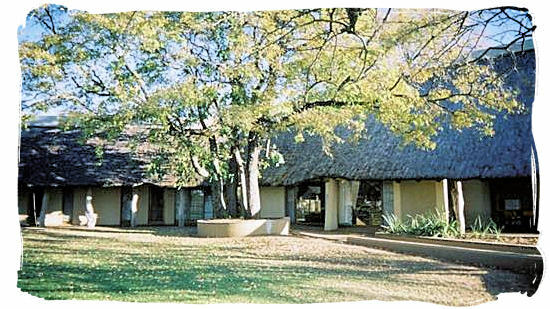 178 x round-walled, single-room African style units with thatched roofs, 2 or 3 beds per unit, equipped with en-suite ablutions (most with showers, but some with baths). Some units have air-conditioning, some have fans. Kitchenettes vary: some have hotplates and sinks; some have only sinks, while some have neither. Cutlery and crockery can be provided and hired from reception. Please confirm when booking. 20 x 1 bedroom units, with en-suite bathroom. The units each have a double bed, quality decor, air-conditioning and television offering limited DSTV channels. You have a choice of luxury units with a riverside view and kitchen, or semi-luxury units without a river view and with communal kitchen. Bungalows along the river frontage have a more modern design with glass sliding doors. This unit forms part of the Waterkant Guest House complex and is known as Waterkant 2. It offers a well equipped kitchen, 4 bedrooms, (2 single beds in each room), a living room, one bathroom and a river view. 15 x 4 or 6-bed units with well equipped kitchens, multiple bedrooms and usually more than one bathroom. Some have 2 double beds, so visitors should confirm bed numbers and interior contents when booking. These are large luxury units in prime positions, all with river view. They all have well-equipped kitchens (with microwave ovens), multiple bedrooms and bathrooms. Limited channel DSTV televisions are provided. Explore the bush on foot in search of the “Big 5” accompanied by two, well qualified armed field guides, relax at the river front of the camp and look for Hippo and buffalo, enjoy a round of golf on the Skukuza golf course, watch wildlife documentaries in an outdoor amphitheatre, or visit the Stevenson Hamilton memorial library. 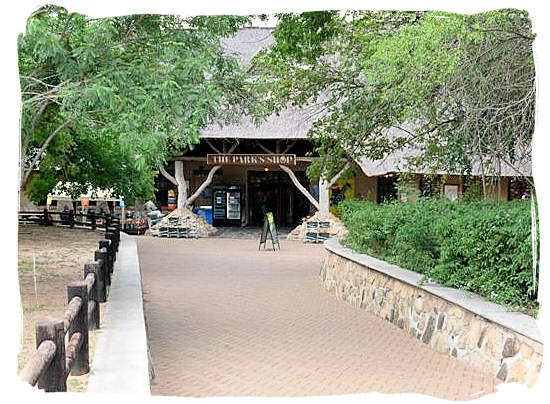 These are some of the activities and attractions at Kruger Park's major camp. Bush Breakfast and Bush "Braai" (Barbecue). Includes game drive to venue. Confirm availability when booking. 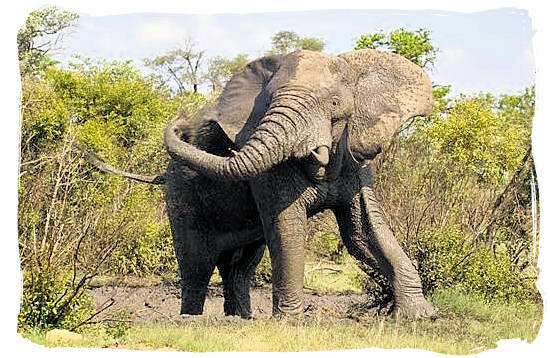 The closest airport to Skukuza is Kruger Mpumalanga International Airport (KMIA) which is situated between Nelspruit and White River, approximately 100km (a one hour drive) from the Paul Kruger entrance gate into the Kruger National Park. Skukuza rest camp is 12km away from the gate. Allow about 30 minutes for the drive to the camp. There are daily scheduled flights between Kruger Mpumalanga International Airport and OR Tambo International Airport in Johannesburg, with less frequent flights from Cape Town and Durban International Airports respectively. Private once-off chartered aircraft wanting to land at Skukuza airfield need to obtain prior permission from the Park management. Take the N4 to Nelspruit. Then take the R40 to Hazyview via White River. Turn right onto the R538 just past White River, heading to Hazyview. 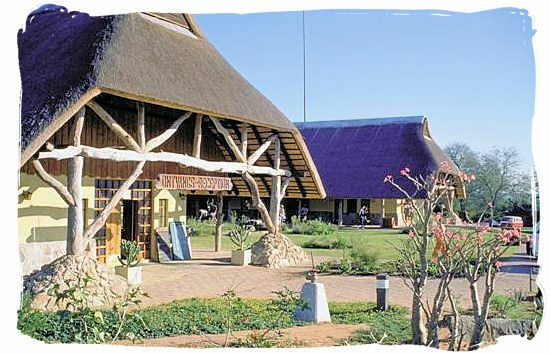 From Hazyview, take the R536 to the Paul Kruger entrance gate (51km drive) into the Kruger National Park. Travelling from Johannesburg or Pretoria, allow between 5 to 6 hours for the trip to the gate. The camp is 12km away from the gate. Allow about 30 minutes for the drive to the camp, however if you want to enjoy the game viewing possibilities give yourself more time. Take the N4 to Nelspruit. Then take the R40 to Hazyview via White River. Turn right onto the R538 just past White River, heading to Hazyview. From Hazyview, take the R536 to the Phabeni gate, which is approximately 10km away from Hazyview. Travelling from Johannesburg or Pretoria, allow between 5 to 6 hours for the trip to the gate. Skukuza rest camp is 39km from the gate. 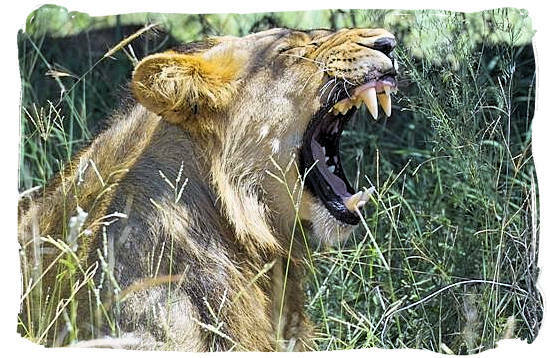 Allow about 1 and ¾ of an hour for the drive to the camp, however if you want to enjoy the game viewing possibilities give yourself more time. Go to SANParks.org to view a monthly calendar with accommodation availability details of Skukuza rest camp on the Accommodation availability page of the South African National Parks (SANparks) website. Go to SANParks.org to view the tariffs applicable for the Skukuza rest camp on the official tariff page of the South African National Parks (SANparks) website.